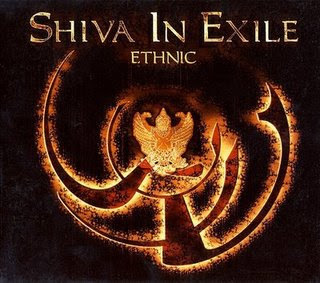 Shiva in exile - these are the new arrogant solo - project of Stephan Khertrikha, vocalist Darkseed and Betray My Secrets. Debyutnyy album was named "Ethnic" and it includes 14 dark ambient/ethno songs. Stephan used atmospheric electronics, churn drills, different sonic effects, muzhskoy/zhenskiy of vokaly from entire peace, including the drums of nepal'skogo shaman, recorded by the German author by Christian ratshem, who lives in the scaffolding already many years and it regularly attends the exotic countries. You can hear the Arab, Indian, malaziyskiye, Thai, people Canadian motives, surrounded by the dark and melancholy atmosphere. Album was professionally mixed by Christian bistron, guitarist Megaherz and Betray my Secrets, who also used several his ideas. 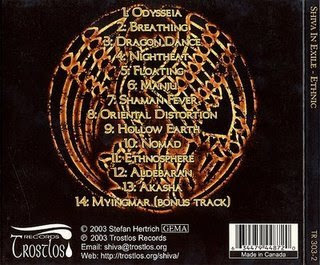 Album was released Trostlos Records during May by 2003. It also earned the first prize Just Plain Folks Music Award. This music for all friends gothic, electronic and ethnic music.